Backwards To You, (1979), 8mm, col/sound, 20mins. In collaboration with the Polish performance artist Piotr Olszanski. An anti-sports culture comedy sketch on the Sydney City to Surf marathon. Olszanki runs backwards from finish to start and meets race 100 metres from the end before being swallowed up in the rush of mass normality. 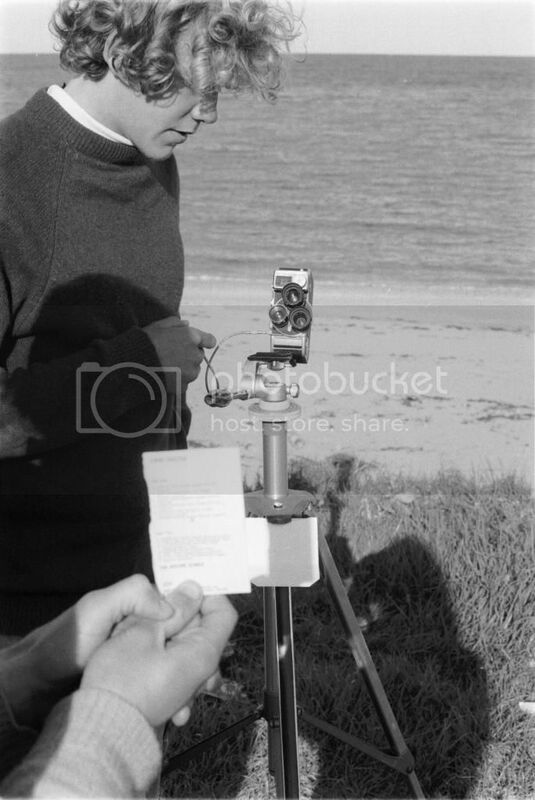 Pictured is Andrew Clegg (Tillian Reeves) shooting on location Super8 film.